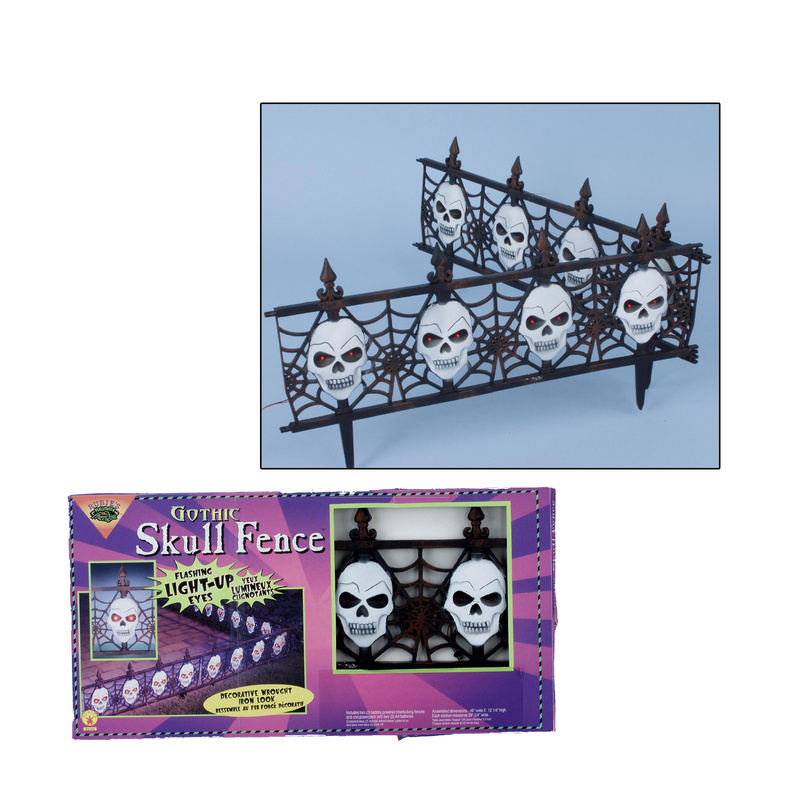 Each set includes 2 battery powered interlocking fences featuring skull heads with eyes that flash a red glow to beckon trick-or-treaters! No cords or electricity are required - 2 - "AA" batteries (not included) are all that is needed. 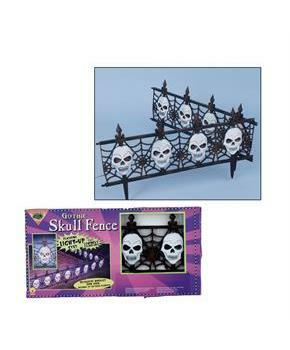 Includes 2 fence pieces - each piece is approximately 12.25" high x 24.75" long.